Like a real-life version of a Looney Tunes cartoon, a visitor to a Portuguese museum was injured last week when he stepped into an art installation resembling an inky void. 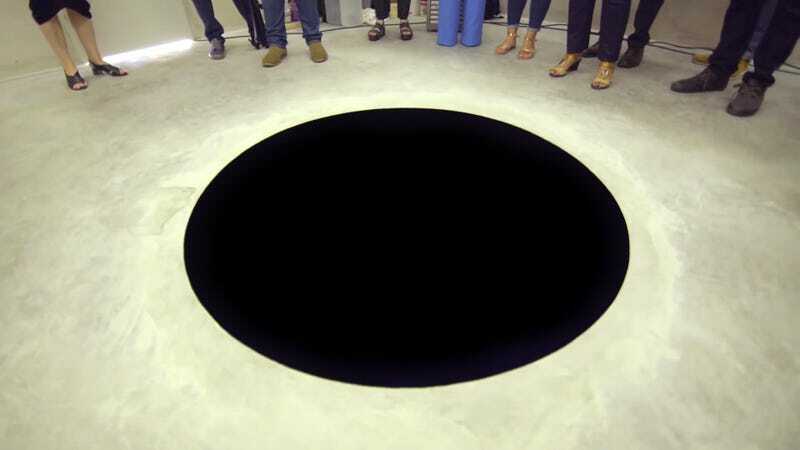 Currently on exhibit at the Serralves Museum in Porto, Descent Into Limbo by Anish Kapoor includes an actual eight-foot hole that’s painted black—so it appears to have no depth at all. According to Britain’s Times, attendees of previous showings of the work have questioned “whether there really was a hole in the floor or whether it was simply a circle painted with an extremely dark black paint.” Presumably there will be no doubts going forward. 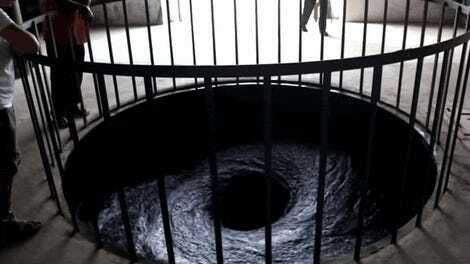 Though the Descent Into Limbo installation was reportedly surrounded with warning signs and staffers warning visitors not to get too close, there was no barrier around it. How the museumgoer, whom Portugal’s Publico reports was an Italian man in his 60s, was able to step into the hole isn’t known, but he was briefly hospitalized for the eight-foot fall. The museum closed the exhibit to assess what happened, but says it plans to reopen it soon. In addition to being known for his over-sized installations (including the giant reflective Cloud Gate “bean” in Chicago), Kapoor made headlines in 2016 when he secured the exclusive artistic rights to a physics-defying material called Vantablack. 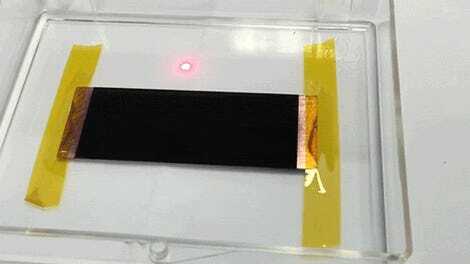 Developed by a British company called Surrey NanoSystems, the material is able to trap photons in-between lab-grown carbon nanotubes, which bounce around until they’re eventually absorbed. Just a scant 0.035 percent of visible light is reflected by an object covered in Vantablack, making it impossible to see any curves or contours—or to accurately gauge the depth of a hole if you don’t know what you’re looking at. Descent Into Limbo debuted years before Vantablack was announced to the public, and was instead created using a dark paint that produces the same depthless, black hole effect. For at least one hapless art lover, it seems that was enough.